On Tuesday, China’s leader Xi Jinping completed his two-day visit to Moscow at the invitation of Russian President Vladimir Putin, during which the leaders reached important agreements on strengthening cooperation in various fields and discussed pressing international issues, including the situation on the Korean Peninsula. 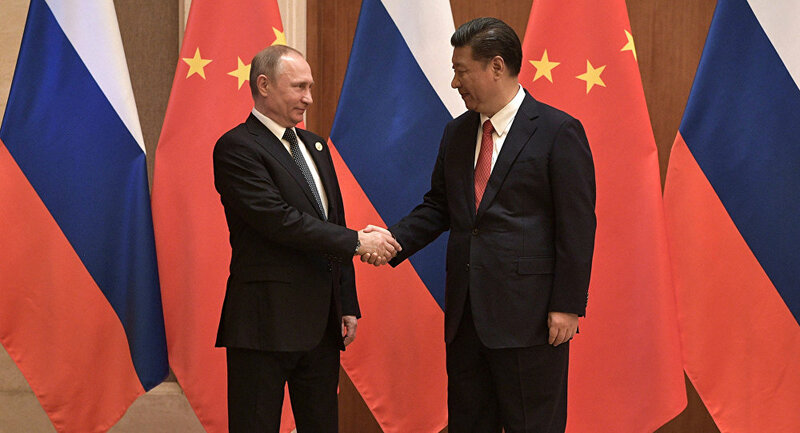 Shortly after his arrival on Monday, Xi expressed certainty that the visit "will be very fruitful and would contribute to the stable development of China-Russia relations, comprehensive partnerships and strategic cooperation." The leaders met on Monday evening in the Kremlin for an informal dinner. According to reports by the Xinhua news agency, the presidents discussed the situations in Syria and on the Korean Peninsula, and agreed that China and Russia should maintain strategic cooperation in order to contribute to peaceful negotiations and settlement of the crisis on the Korean Peninsula. The full-fledged official negotiations took place in the Kremlin on Tuesday. Putin awarded the Chinese leader with Russia’s highest state award, the Order of St. Andrew the Apostle the First-Called, for strengthening the friendship between the peoples of Russia and China. The leaders agreed that no matter how the external situation changes, the bilateral relations between the countries will not be affected, Xi said, speaking at the award ceremony. He added that Beijing and Moscow "are committed to developing mutual support and all-around cooperation… to achieve greater real results." During the negotiations, the parties have reached important agreements on strengthening of bilateral contacts in various fields, paying special attention to the topic of economic cooperation, Putin said. The countries will seek to actively develop cooperation in credit and finance, Putin added. "We have expressed our support for the agreement between the Russian Direct Investment Fund (RDIF) and the China Development Bank towards the creation of a joint investments fund worth 65 billion yuan [$9.56 billion]. We agreed to continue consultations on a more wide use of national currencies in mutual payments and investments. I am sure that the opening of the first foreign office of the Central Bank of Russia in China will contribute to that," Putin said. The Russian leader praised the contribution of Russian-Chinese enterprises, councils and unions into strengthening of trade and partnership relations of the two countries. "We discussed in detail the state of bilateral ties, set up plans for future. I must note that their successful implementation depends not only on the actions of state agencies, but also on the active participation of public, business circles, support of the media," Putin said. The Russian president added that both countries see good possibilities for agriculture cooperation. "Last year, export of Russian agricultural production increased by 17 percent. Apart of that, we decided to increase the export of Russian wheat. The document on letting other grains enter the market is on final stage of approval," Putin said. Putin noted that the trade between the countries continues to grow, just like in the previous year, increasing by 37 percent ($24.5 billion) in the first four months of 2017. He added that Xi’s visit to Russia is "undoubtedly the key event of this year" between the countries. The Chinese leader, in his turn, stated that the countries will increase cooperation within the G20 in order to contribute to the growth of global economy. Xi invited Putin to take part in the BRICS summit, scheduled to take place in China’s Xiamen in the Fujian province in September 2017. The leaders also discussed China's One Belt, One Road initiative, with Putin stressing that the project deserves special attention and will be supported by Russia. Xi also met with Russian Prime Minister Dmitry Medvedev. The latter confirmed his plans to visit China in the second half of 2017 and meet with Chinese Premier Li Keqiang. Medvedev said that Xi's visit to Russia is yet another step toward strengthening of bilateral partnership and collaboration, adding that after the visit, the relations between the countries will be even better, "although right now they have already reached an absolutely unprecedented level." According to Kremlin aide Yury Ushakov, the negotiations were set to result in signing of a package of 40 bilateral agreements, as well as of two joint statements. Moscow and Beijing announced their intentions to develop the contacts and cooperation in the military and technical field, and to withstand regional and global challenges together. Russia and China also suggested to develop an international convention against acts of chemical and biological terrorism, called for political and diplomatic settlement of the Syrian conflict, and expressed respect for sovereignty of Syria. "The parties, expressing concern over increasing threat of mass destruction weapons falling into the hands of terrorist groups, and over the possible use of chemical and biological substances with terrorist aims, speak for development of an international convention on the fight against the acts of chemical and biological terrorism," the leaders’ joint statement said. Russia and China spoke against using information and communication technologies for interfering with domestic affairs of countries, disrupting public order, destroying the system of public administration. Russian Rosneft energy company and China’s CEFC signed a strategic cooperation agreement. According to the head of Russia's State Atomic Energy Corporation (Rosatom), Alexey Likhachev, Putin and Xi instructed their governments to sign a package of documents on four nuclear power projects in China before the end of 2017. According to the joint statement of the two leaders, Russia and China "are committed to the tasks of denuclearization of the Korean peninsula and stress that dialogue and consultations are the only effective way to resolve the issues of the North Korean peninsula." The leaders called for all the parties to remain calm and resilient, stressing that North Korea, as a member of the United States, must fully implement all the respective resolutions of the UN Security Council. 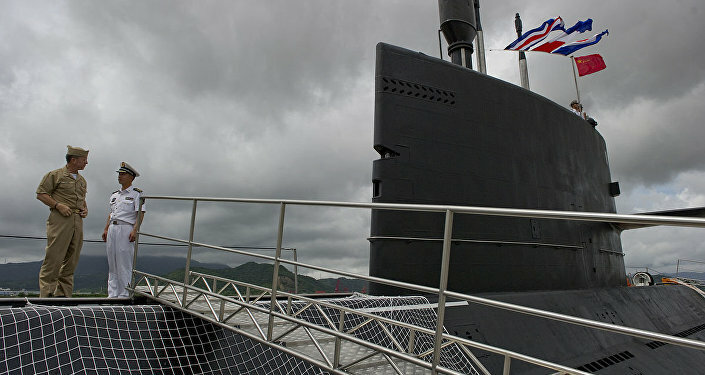 "The sides suggest for North Korea, as a way of voluntary political settlement, to declare a moratorium on tests of nuclear explosive devices and test launches of ballistic missiles and for the United States and South Korea to refrain from carrying out large-scale joint exercises," the statement said, calling on the international community to support the initiative as one that could open "a real way toward settling the issues of the Korean peninsula." According to Putin, the comprehensive solution to the issues of the Korean Peninsula is one of the joint priorities of external policy of Russia and China. "We have agreed to advance our common initiative, based on the Russian step-by-step plan of the Korean settlement and China’s ideas of parallel freezing of North Korea’s nuclear and missile activities and large-scale military drills of the United States and South Korea," Putin said. Pyongyang launched the Hwasong 14 missile earlier on Tuesday. The missile's 37-minute flight totaled 933 kilometers (580 miles) and reached a maximum altitude of 2,802 kilometers, according to N. Korean media. The Russian Defense Ministry said that North Korea's missile only reached a maximum altitude of 535 kilometers and flew 510 kilometers. According to the ministry, "the parametric data of the ballistic target’s flight correspond to tactical and technical characteristics of a medium-range ballistic missile." According to the head of the international economic organizations’ sector of Russia's Center for Economic Research, Vyacheslav Kholodkov, the Moscow visit of the Chinese leader "cannot be called an ordinary one." "Given the volume of the agreements, deals and contracts in the economic field that were signed and are expected to be signed, they are for a total of $10 billion, which is a very considerable sum of money," Kholodkov said, adding that these contracts and agreements may provide for rebuilding of the Russian economy and its transition from a resource based development model to innovative one.